Libby Hart’s most recent collection of poetry, This Floating World (2011), was shortlisted for Australia’s Victorian Premier’s Literary Awards and The Age Book of the Year Awards, and longlisted for the Prime Minister’s Literary Awards. This Floating World was also devised for stage and received the Shelton Lea Award. 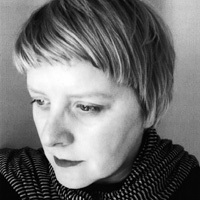 Her first collection, Fresh News from the Arctic (2006), received the Anne Elder Award and was shortlisted for the Mary Gilmore Prize.